At Zero Degrees West, it isn’t all red carpets and premiere parties. A lot of what we do comes after the initial hype machine has powered down, and it’s our job to hold the audiences’ attention and let them know the film or TV show is available to take home. In addition to the traditional road from theatrical to home entertainment, studios are sitting on decades of content they can remaster, repackage and reposition (and in the case of Universal and Paramount – over a century). That’s right – we’re talking about catalogue marketing. Whether there’s renewed interest from a sequel, remake, anniversary, or (more morbidly) a celebrity death, there are plenty of reasons for an audience to rediscover their favourite entertainment. A new Alien movie is coming out? Haven’t seen the last 5 movies since college? Maybe it’s time for a refresh. You own the Bambi on a worn out VHS? Well guess what – it’s out of the Disney Vault and in stunning 4K courtesy of the Anniversary Signature Edition Blu-ray (Diamond Edition is so 2011). The entertainment industry is unique in this regard – and what’s old really can be new again. As entertainment experts, we know how to play into this strength to make previously released content feel fresh for both old fans and new audiences. While we employ many strategies (we’re very creative), we tend to subscribe to the 3 R’s – Reposition, Remind, Revere. 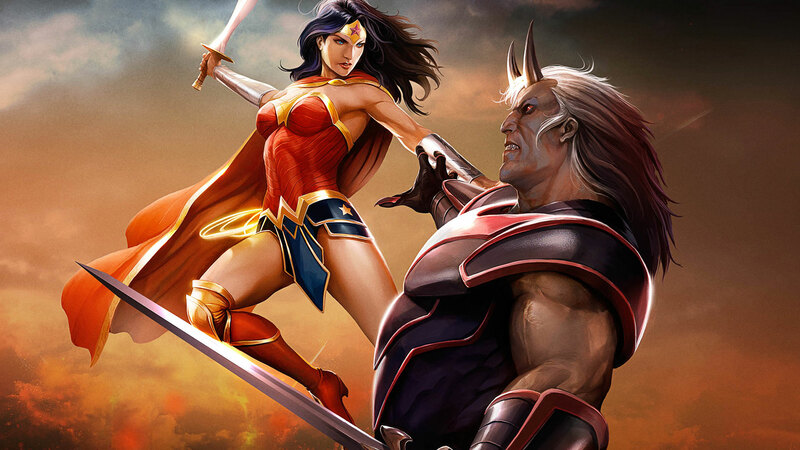 With the live action Wonder Woman movie coming out next month, now is a perfect time for Warner Bros. to re-release the 2009 Wonder Woman animated film. This critical and fan favourite pretty much slipped under the radar during initial release, and we wanted to communicate its quality to an audience that missed it the first time around. To achieve this goal, we put enthusiastic fan tweets front and centre, letting the fanboy audience know that this film is pre-approved by their community. We also set out to prove that the character is just as badass (if not moreso) as her male superfriends by showcasing her most epic action moments in the form of sizzles, cinemagraphs and Instagram stories. The Universal catalogue lays claim to some of the most beloved films of all time. We were tasked with marketing sixteen of those cinema classics, including Psycho, Scarface and The Big Lebowski. With such a diverse offering of genres, we found one common theme they all share – these are Unforgettable Films. To highlight this, we created a celebratory sizzle and a stylish, unifying line look that incorporate the films’ most iconic elements. Famous quotes (“say hello to my little friend”) and props (shower drains) worked instantly as shorthand reminders of the larger piece of work, awakening audience memories of these timeless tales. When a Gilmore Girls revival was due to arrive on Netflix, a rabid fanbase eagerly awaited its release. We were tasked with getting that audience to purchase the original series on home video in the lead up to the Netflix release, and we knew we had to speak to them in an authentic voice. To do this, we created lovingly crafted content that showcased fan favourite elements of the series – the relationships, the characters, the “Gilmoreisms”, and of course, the coffee. We treated the material as if we were fans ourselves, which was easy, because we were.